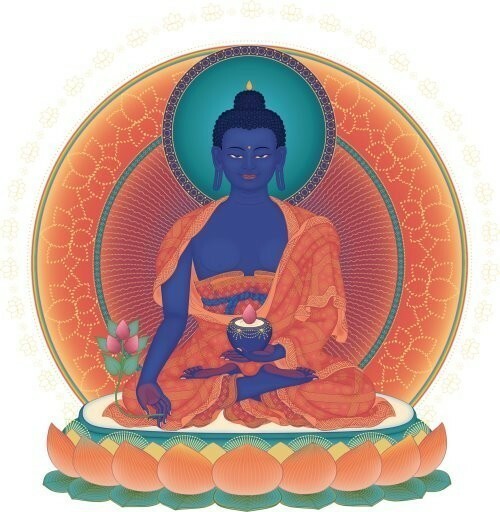 Bahishajyaguru Vaidryaprabha Tathagatha... this is the proper name for who we refer to as the Medicine Buddha. He is traditionally invoked to avoid & eliminate disaster and well as for help with sickness, ailments and pain. This is a binding of the Immortal Medicine Buddha and in keeping with his proper name, Bhaishajyaguru Vaidryaprabha Tathagatha, which means "Healing Master of the Lapis Lazuli Realm" we use Lapis Lazuli for the bindings; you may receive a pendant, bracelet, or natural form. Keep him with you when you feel you need to be eased and receive help with sickness, stress or other ailments and also when you feel you need to avoid problematic situations. This is a wonderful binding that will bring you a sense of peace & protective energy. My own experience with this item has left me very impressed. I had been suffering from a great deal of pain from Carporal-Tunnel Syndrome. I began to wear the bracelet it was bound to the relief was pretty much immediate. I was very surprised at how well this worked. I would put it on right before bed and sleep with it on, and Wow! When I woke up I was feeling MUCH better than I know I would have. 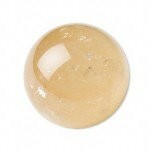 Seems to enhance and work with your body's natural energy meridians/ chakras and to rapidly aid in the healing process. Tested numerous times, and same great consistent healing effects. I'd highly recommend to anyone interesteds in energy medicine. Advantages: It works. It helps you feel healthier. Even works on hangovers, in my experience. Disadvantages: I cannot think of any.